AMD published its latest set of financials a few hours ago. The results from Q3 2017 look solid, with a 26 per cent revenue growth observed, year-on-year. Moreover, we saw the first operating profits in three years - $71 million, compared with a loss of $406 million a year back. However, Wall Street wasn’t that pleased with the progress and was spooked by a warning that lower revenues would be seen in Q4. 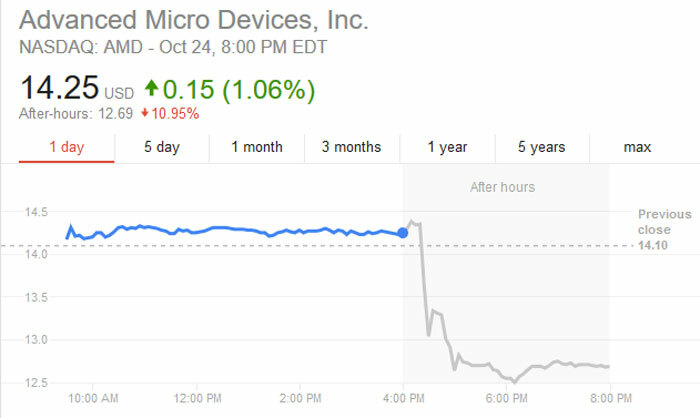 Thus AMD shares have plummeted by as much as 12 per cent in afterhours trading. Computing and Graphics segment revenue was $819 million, up 74 per cent year-over-year primarily driven by strong sales of Radeon graphics and Ryzen desktop processors, said AMD. The company must also be pleased that both its CPU and GPU ASPs “increased significantly” too. Meanwhile, AMD’s Enterprise, Embedded and Semi-Custom segment revenue was $824 million, approximately flat year-on-year. A sting in the tail for investors came in an outlook section of the financials, which was detailed further in a lengthy ‘cautionary statement’. In brief AMD expects revenues to slip by as much as 15 per cent sequentially, plus or minus 3 per cent in Q4. AMD’s CEO told investors in a post-earnings call that it was predicted “there will be some levelling off of some of the cryptocurrency demand” – a factor which could have a big impact on income. This is also with most of the AMD prebuilt PCs still being based around Excavator based APUs. 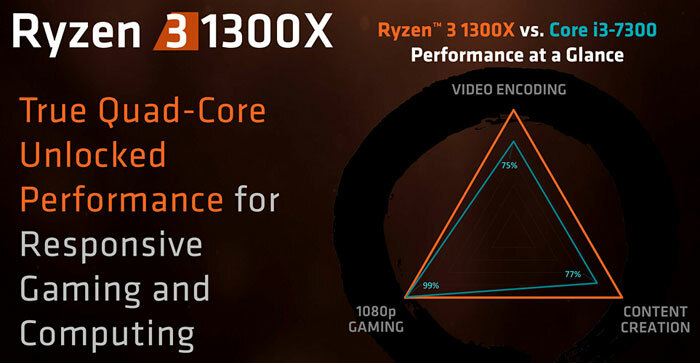 Now imagine when they have Raven Ridge is released,and if they can actually sell any higher end GPUs in reasonable volume. Good to see AMD are seeing an end to the miners buying everything in sight as good as it has been for them its not been great for us non minters wanted a new AMD card, just need DDR4 prices come to back down next. Ditto, if DDR4 prices come down I can see them reporting further increases. Prices are a bit crazy at the present time. TBH, I think they need to get some manufacturers to produce some cheap boards as well. Many upgraders are not going to stomach the hideous price of a mobo+cpu+ram upgrade at the moment unless their system is very under-powered or broken. What's wrong with the current selection? The plain 300 boards would be nice and probably knock a couple of pounds off, but AM4 boards are already widely available for half the price of the competing intel motherboards.